We sell various types of mulch products, ranging in color and composition, in bulk proportions. 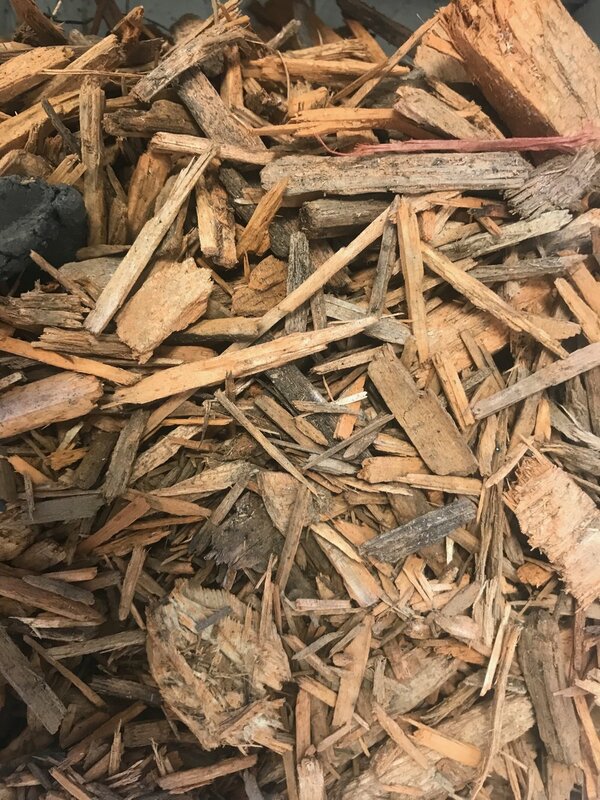 Take a look below to find the type of mulch you're looking for, then call us for pricing and other details that you may need to know before making a purchase. Hardwood mulch is fibrous and knits together well which inhibits soil erosion and weed germination while retaining moisture. Hardwood mulch is often made of oak but may be compiled of a mixture of hardwoods. Premium hardwood mulch, dyed dark brown. The dye will hold its color for 1 year, guaranteed. Premium hardwood mulch, dyed golden. The dye will hold its color for 1 year, guaranteed. Cedar mulch ranges in color depending on the region in which it is harvested. It is usually aromatic, though some varieties have a stronger aroma than others. The oil produced by cedars serves as a natural insect repellant. Cedar mulch is exceptionally long lasting so it does not need to be replaced as often as other varieties. However, its longevity lessens the amount of rich hummus added to the soil that faster decomposing varieties produce. Cypress mulch is an aesthetically pleasing, light colored mulch that is also aromatic. It naturally repels insects and has natural fungus resistance. Similar to cedar mulch, it is long-lasting. Premium hardwood mulch, dyed black. The dye will hold its color for 1 year, guaranteed. Premium hardwood mulch, dyed red. The dye will hold its color for 1 year, guaranteed. All bark mulch is an excellent choice when it comes to water conservation, since it provides a solid barrier against moisture evaporation. The one downside of this mulch is its size. Most bark mulch comes in large chips, which decompose slowly; that's why we've added shredded bark into the mix. The combined mixture will not only trap moisture in your flower beds better than large chips, but since it decomposes quicker, it more readily adds nutrients to the soil as well. Pine needle bales are light-weight and less expensive in comparison to bark mulch, yet still provides the benefits of moisture retention, soil conditioning and weed prevention. Pine mulch breaks down reasonably fast improving the organic content of the soil. Cocoa shell mulch binds together to form a loosely knit structure, which suppresses weeds from growing. It will break down slowly over time, adding nutrients, including protein and nitrogen, to the soil and helps your plants retain water, which means you’ll spend less time watering them. An added bonus is that freshly applied cocoa smell mulch leaves your garden with the lingering smell of chocolate. We sell various types of natural stone, ranging in size and composition, in bulk proportions. Take a look below to find the type of stone you're looking for, then call us for pricing and other details that you may need to know before making a purchase. Crushed limestone w/ fines used for roadways, driveways, base material under concrete or brick pavers, fill for fence posts. Washed river gravel used for landscaping, playgrounds, and pipe bedding or backfill. 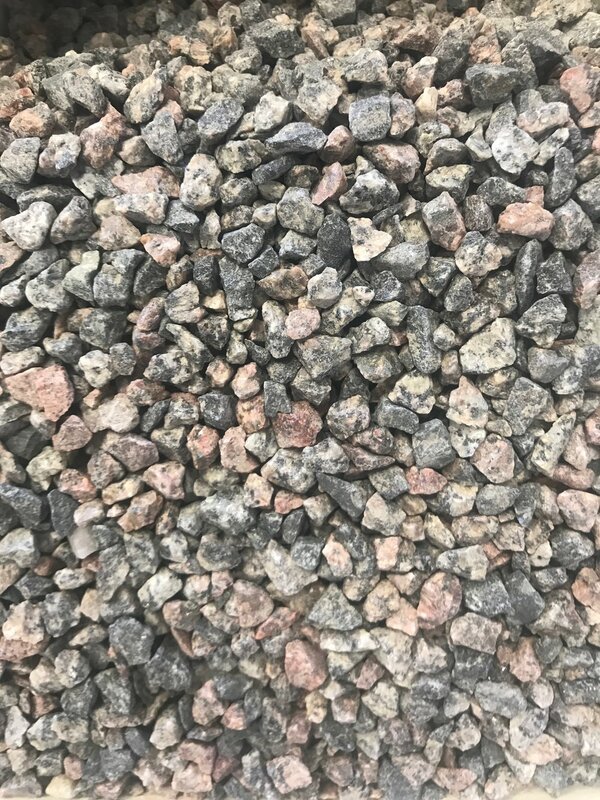 Washed river gravel, sized at approximately 1 inch, used for landscaping, pipe bedding, and septic systems. Washed river gravel, sized at approximately 2 inches, used for landscaping, pipe bedding, and septic systems. 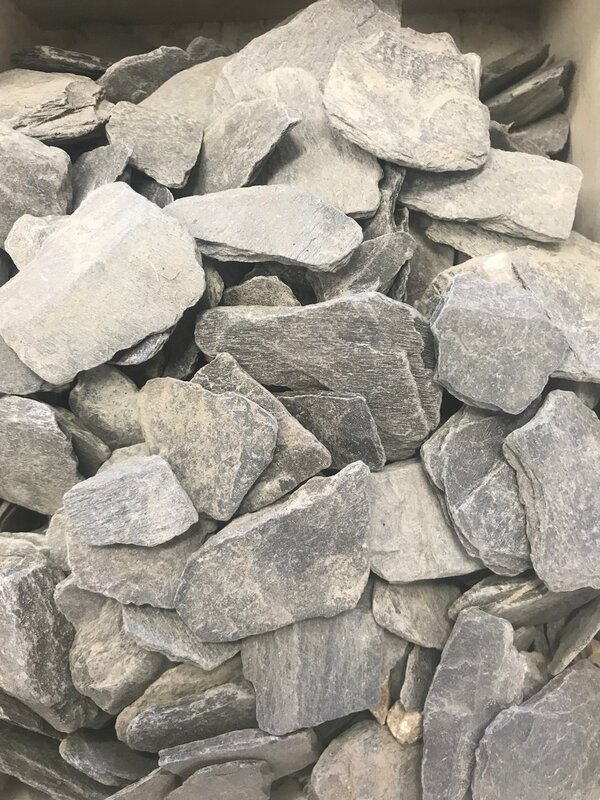 Grey slate rock is used in various residential and commercial landscaping projects for its weather-resistant and pollution-resistant properties. It is used to pave paths, surround swimming pools, cover outer walls, make risers and treads on stairs, and even for patios. Slate stone is chiseled to make fountains, used in both traditional and contemporary styles. Meramac is a very popular choice for landscape projects. With its brown/reddish to dark tan color scheme, this material will suit any style or taste. Like Canadian Heritage, meramac is also commonly used in exposed concrete projects too. New York Blue Stone is durable and will last many years. It can stand all kinds of weather and handles temperature fluctuations, so you can incorporate it into your landscape to endure Iowa's snow and ice in the winter. Its rough surface also means that it rarely gets slick or slippery. Black Volcanic Rock will work best where it mirrors the surrounding terrain or is designed to be a standout feature, such as an island bed. Relative to other rock mulches, lava is lightweight, so less costly to transport and less onerous to move into the garden for spreading. Bark chunks are the most decorative type of mulch you can get. These are popular in ornamental gardens and area’s that are very visible. Since chunks are more attractive, they tend to be more expensive. 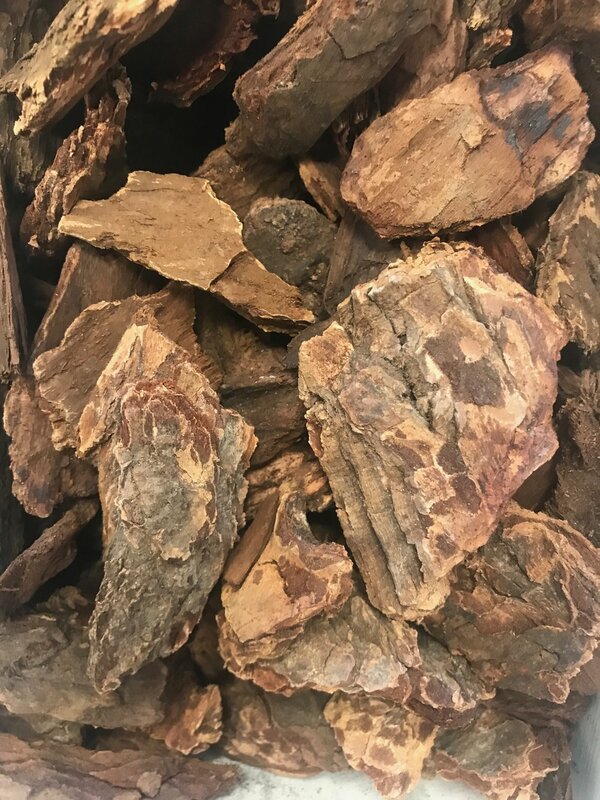 Some forms of bark mulch can be toxic to certain plants, so you will want to check in to this before you place any bark chunks. Royal Gorge is great for individual outcropping in mulch beds, larger retaining walls, and for their natural placement in water features. Purple Mountain landscaping stones offer a unique color that will stand out in any landscaping project. 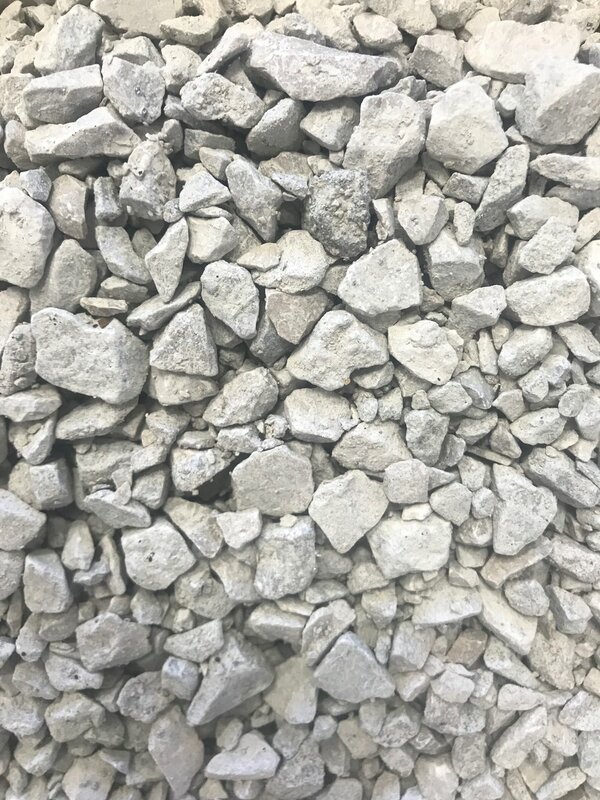 Washed limestone chips, sized 3/8 inch, used in Seal Coat paving. Black Obsidian has a long life, doesn’t blow away, keeps weeds and bugs away, retains moisture, and looks great. They may a bit more of an up-front expense, but over the long term they will pay off. Mexican Beach Pebbles are used to line planters, fountains and walkways or is even commonly placed between stepping stones and pavers. Crushed Granite Chips will blend beautifully with existing landscaping and architectural features. Washed and screened to remove any impurities, it is extremely tough, durable and long-lasting which helps to promote good drainage. Trap Rock has excellent freeze-thaw resistance and a good resistance to abrasion. It is superior to limestone when it is used in soils or water where acid resistance is important.